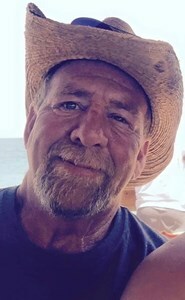 Tomlinson, John Wesley Age 67, of Cocoa, Florida passed away on Sunday, February 3, 2019. He was born in Columbia City, Indiana to John and Martha (Wilkins) Tomlinson . John graduated from Churubusco High School in 1969. The day after graduation, he began working at GTE/Verizon as a switching services technician. He attended several training classes in Texas and California and mastered his position in a short time. After 20 years, he was offered a tremendous raise and promoted to management, though he did not have a college education. He retired after a 32 year career. After retirement, John began working as a handyman with a golf friend of his. There was not much he could not fix. John loved golf and bowling, once bowing a coveted 300 game. He also loved fishing, camping, hunting and morel mushrooms in the woods at his mother’s house. Among his other passions were woodworking, building things, gardening in his flower and vegetable gardens. His latest accomplishment was his beautiful Florida flower gardens. He was a member of a gardening group, Your Yard or Mine of Central Florida, where he made several friends. He enjoyed learning and sharing his passion for gardening. He enjoyed painting and drawing. His paintings were sometimes featured at showings and were often sold or given to friends and family. John was preceded in death by his parents and his brother David Bradley Tomlinson. He is survived by his wife Wendy M. (Schoenberger) Tomlinson, whom he married on September 2, 2005; daughter, Angela Marie Tomlinson, sons, Joshua Gregory Tomlinson, Lance Wesley (Jessica Sciortino) Tomlinson and Sean Michael Tomlinson; granddaughter, Zoey Louise Tomlinson; brothers, Stephen (Diane Bockey Casper) Tomlinson and James (Susan Foltz) Tomlinson; several nieces and nephews; and his beloved dogs Buster and Coco. A Celebration of Life is being planned in Indiana sometime this fall. Details will be shared through family and Facebook once finalized with the family. To share a memory of John or leave a special message for his family, please click the Share Memories button above. Add your memories to the guest book of John Tomlinson. John and I were great friends back in our 20's and 30's. He was the John-Boy to my Jim-Bob. We were two peas in a pod. We first met at General Telephone (=>GTE => Verizon) in 1970. We shared apartments together and even a farm house out by Ft Wayne's airport. We had great times. I was so glad when he found Wendy, who turned out to be his true Love. He was a good man with many passions in life. He excelled at them all. We are so very sorry for your loss. Although we never met John, we know his brother, Jim. Praying for peace and comfort for you all. I am so glad I was on fb with John, loved seeing his yard work, handy man things, his meals. I will miss hearing from him. John thanks for the memories. RIP. "John-Boy" Tomlinson was and always will be one of my very best friends. John was my husband, Archie's, best man in our wedding in 1977. John and his roommate, Jim-Bob Wulpi had parties every weekend back in the 1970's at the apartment that we lovingly called "The Laughing Haus". John was so much fun and had such an exuberant, loving personality. We chose John to be our daughter's godfather in 1978. John adored little Bree. I remember Willie Nelson playing on our stereo and Bree dancing to the music. "Uncle John" would get so tickled at her. As the years passed we lost touch, but never forgot one another. When we did get together it was like no time had ever passed. This man was a true friend who loved and cherished his friends. I know how proud he was of his kids and his wife. I had the pleasure of meeting Wendy at a party in Fort Wayne several years ago. I thought she was "perfect" for John-Boy. He loved life and lived it with gusto and now another angel resides in heaven. I will never forget you, John.